Here are a few awesome DIY makeup tips for brides planning to do their own makeup! Brides, if you are doing your own make up for any of your ceremonies, you are going to want to read this. Elementary and elaborate, these tips will guide you through the process of creating that perfectly flawless bridal look that every girl wants, entirely on your own. 1. Practice, Practice and Practice More: Bridal makeup is elaborate and convoluted. It’s not something that you can just wake up and slap on. You need to be absolutely sure that the look you will be creating for your wedding is something you are comfortable with. And for that you need to practise. First, try on the looks you think will work for you, click pictures and compare. Clicking pictures will also give you a fair idea of how your complexion will look under harsh lights. Once you freeze on the look which you think suits you the best, do it over and over, till you are sure you can pull it off easily. 2. Stock up on your makeup kit: A few months before your wedding, but after you have picked your look pick up all your makeup essentials. We all have the basic eye shadows and liners, but there’s a few things you absolutely cannot miss out on. Primer, waterproof mascara, and a cream blush are some of the most important things in any bride’s makeup kit. While you are at it, invest in a set of basic brushes (or any specific ones you may need for your bridal look). 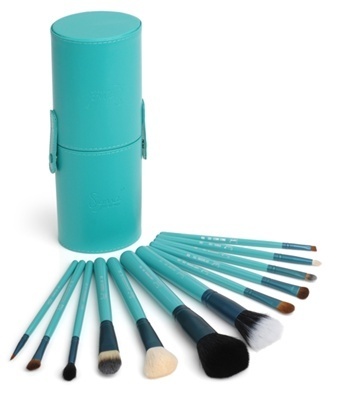 Make sure oil absorbing face powder, Q tips and false lashes are also a part of your kit. 3. 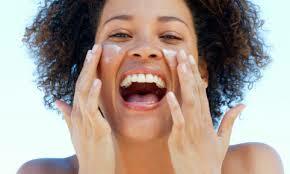 Take care of your skin: That perfect dewy complexion skin that is great from within. Remember to eat well and sleep well in the months leading up to your wedding. Keep your diet rich in veggies and drink lots of water, to keep your skin clear. Exfoliate regularly, most importantly within a week of the wedding day. If you plan to get a wax, it shouldn’t be on the day before the wedding, instead you should do it a couple of days before your wedding to make sure your skin settles. 4. Set the right foundation: Start with cleansed and pure skin. First use a primer to cover up any open pores. This also helps your makeup stay for a longer time. Then use a foundation that matches your skin tone to create a base. 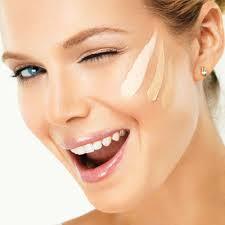 Cover up with a concealer on your under eyes and any blemishes. Finish off with a compact powder that can absorb all the excess oil. Remember your base has to be good, for the effect you are looking at. 5. Next stop- Eyes: Trim your brows and use an eyelash curler on your lashes. 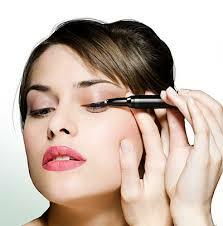 Prime your eyes with some concealer and wait for it to settle. Then use your chosen eye shadow. Line your eyes with your liner and add a touch of highlighter around your brow line and the inner corner of the eye. This can really help your eyes look more open and bright, especially in photographs. The layer on the coats of your waterproof mascara. If your lashes are small and invisible, it is better to invest in false lashes. 6. Time for the lips: The trick is to apply lipstick in such a way that it lasts for a longer time. Make sure your lips and soft and exfoliated by scrubbing them either with a lip scrub or with Vaseline and toothbrush. Next, line your lips with a lip liner and fill the contours with your lipstick. Add a touch of gloss to seal it in. Remember to check for any on your teeth! 7. Blush away: It’s important to apply makeup in this order because you can adjust the amount of makeup you use as you go along. Depending upon how heavy your eyes and lips are, apply your blush. 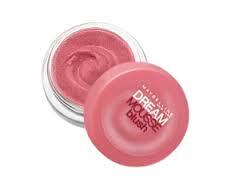 Create a base with a cream blush applied on the apples of your cheeks. Then lightly dip your brush in the blush powder and apply it on your cheeks. The creamy blush helps you complete your bridal dewy look and the powder keeps it intact. Make sure they are almost exactly of the same shade. Makeup is not difficult, not even for your own wedding. All it takes is finding a combo and a shade that works for you and your skin tone. If you are not a makeup connoisseur, take a friend’s help while checking for the shades which match you.